GRB V2 is the next generation of Flash Hiders. 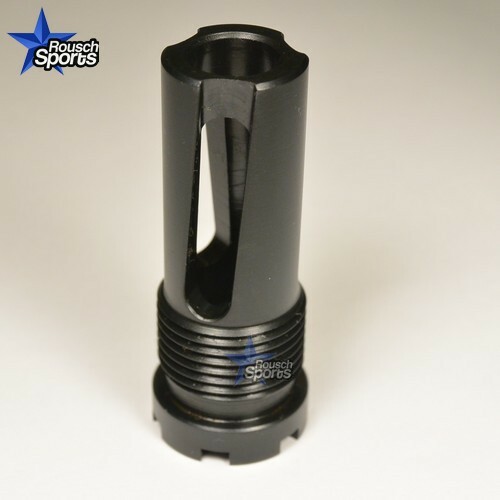 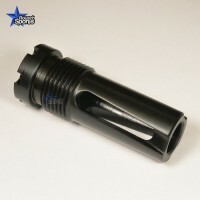 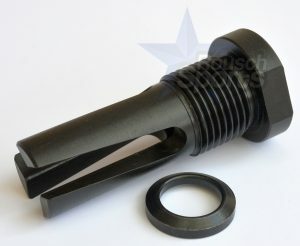 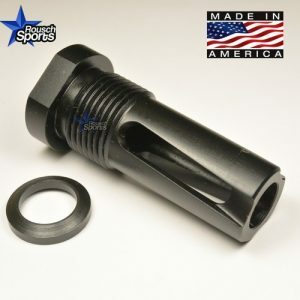 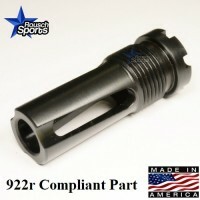 This Flash Hider allows you to achieve Maximum Flash Suppression when in standard configuration. 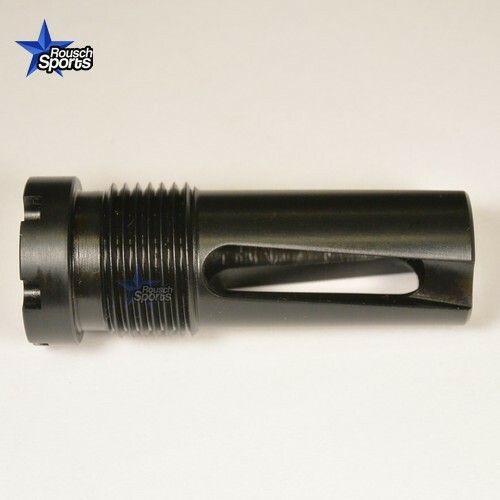 Please Note: This is the Gen 2 version which Eliminates the Tuning Fork Sound associated with next generation Flash Suppressors/hiders. 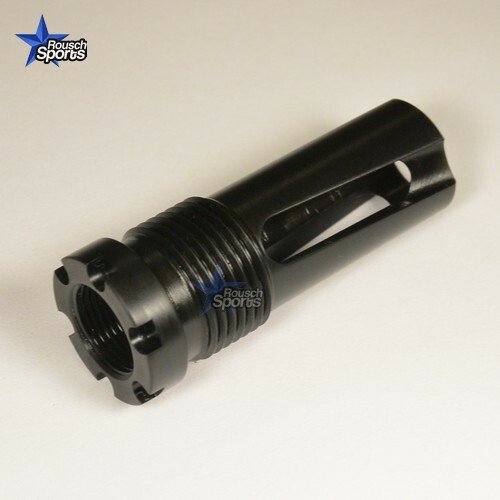 It also allows you the opportunity to thread on 13/16″-16 accessories to achieve alternate configurations depending on your situational purpose. 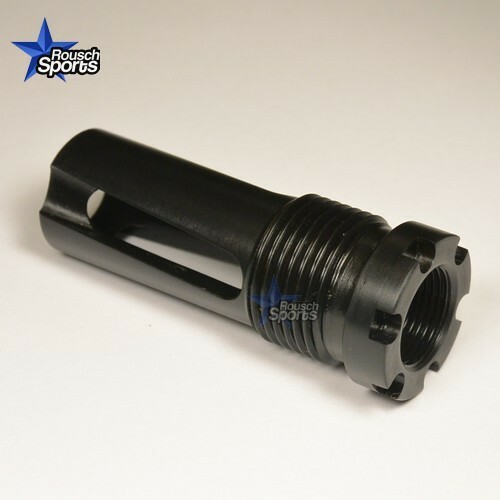 Check out the Blast/Sound Forwarding cone Accessory (Sold Separately) which directs the sound and flash forward away form the shooter. This is especially useful in CQB indoor situations. 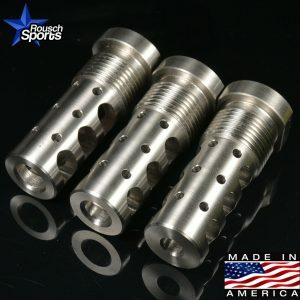 Solid CNC Machined STEEL Construction. 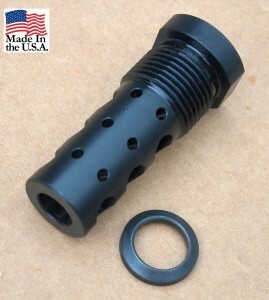 Screws onto a threaded barrel with threads of 14-1 mm thread pitch.